This entry was posted in Life on a Colorado Farm and tagged 2018, a bold song, birds in flight, December 12, joy, life on a Colorado farm, Old Magic ----Tuesday, the earth, The Earth's song by Dayphoto. Bookmark the permalink. The wisdom of the animals–thanks for reminding us. Yes! RUN with all your might, fly into the wind, and even enjoy the weather…life is good! You’re getting very good a capturing birds in flight, and your words are as delightful as ever. They fly away so fast it’s all I seem to get. Thank you, George. 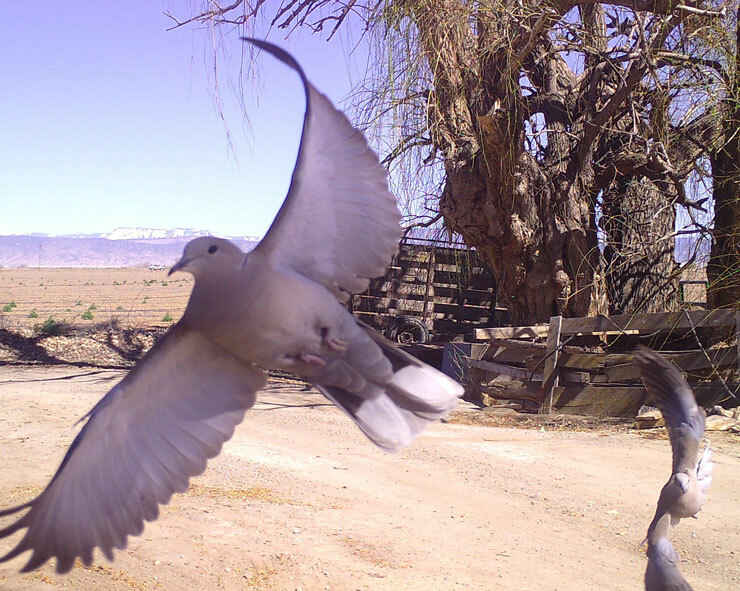 Yes, its a Ring-Neck Dove.